Famous martial arts historian, Donn Draeger, stated it well when he wrote; “Budo is concerned with self-perfection and Bujutsu is concerned with self-protection.” To a degree this is simplifying the differences in approach, but it clearly separates the two categories. All too often the Japanese martial arts are lumped together as one, but it should be clear to all those who are interested in entering the study of martial arts and to all those currently studying martial arts that there is a distinct and critical difference between the bujutsu and budo. The ideal instruction in true Budo on a philosophical and physical level makes the student confront himself in the dojo on a daily basis, the confrontation is between him and the mental image of who he thinks he is – the perception and the reality. Intense training, or shugyo, forces the student to look inward and find depths of himself he wasn’t aware of – with the goal of becoming the best one can become in daily life. On a technical level the budo are concerned with the aesthetics of a technique very often; that is to say, how “good” it looks as opposed to its realistic application. Bujutsu, has it’s own shuygo (intensive training), but the goal is not by any means the perfection of character but rather preparing the warrior for the eventuality and reality of real life combat with the correct technique being the difference between life and death. The goal of bujutsu is simply surviving and being successful in real confrontations. A modern example might be the marine. The modern solider isn’t learning how to use an AK-47 for the perfection of character, they are learning how to use their weapon(s) for combat – this is how training is approached in classical bujutsu. Most budo and bujutsu arts are clearly identifiable by their names. The arts that are bujutsu usually end with the suffix “jutsu” or “jitsu.” Some examples are: jujitsu/jujutsu, kenjutsu, aikijutsu, karate-jutsu, and so on. The budo arts are off-spring of the bujutsu arts that end with the suffix “do” (meaning “the way” or “path”). The budo forms of the arts mentioned previously would be: judo, kendo, aikido, and karate-do. In the last few decades most of the budo have focused on sports and competition as the vehicle to self-perfection. This has resulted in not only unrealistic application of technique but the watering down of the “ideal” approach to budo. Budo forms that emphasize competition focus on scoring points and many of the older (more effective and dangerous) techniques are not allowed due to rules and regulations. This limits the student in terms of actual self-defense, where there are no competition guidelines. Even worse, the role of traditional sensei or teachers is being replaced with that of “coach.” These sensei/coach’s then begin to stress that budo and competition is about winning trophies for themselves and their schools – the emphasis becomes much more on beating the other team. This is not in line with the traditional ideal of budo, in which the only competition, was the competition with one’s self. This is drastically different from Master Funakoshi’s early emphasis on perfection of self rather then victory or defeat. 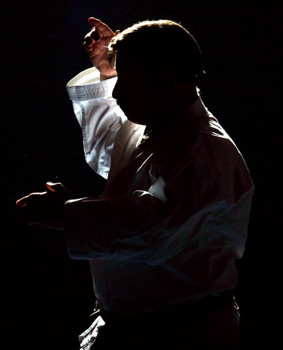 Many modern schools and budo claim that they still follow the traditional or ideal path in which the perfection of one’s self is the goal – but actions speak louder then words – more often then not in these schools one will find the discussion much more on successful tournament strategy and not on self-perfection. The students who receive the most instruction are those who bring trophies back to display on their schools front window. These arts have grown to be “martially inspired arts” and are no longer true budo or bujutsu. From a purely technical perspective Kokondo martial arts (Jukido Jujitsu & Kokondo Karate) fall into the “jutsu” category, because the absolute effectiveness of techniques in realistic self-defense scenarios is considered to be far more important then how well a technique does under the rules and regulations of competition. In fact, in Kokondo techniques effectiveness in sport is never even considered. The Jukido student learns self-defense from a “jutsu” perspective with appropriate response and absolute success as the goals. In addition to this the number one rule in any Kokondo dojo is Safety. This reflects the budo ideal of mutual benefit and well being of all who train – in bujutsu training, safety was not held in high regard. Kokondo sensei stress the daily lives of students and the how this relates to safety (everyone needs to go to school or work the next day). The sensei find a balance between ensuring absolute effectiveness of technique while at the same time ensuring that all students are safe at every moment of training. As one can see Kokondo is truly unique in that it is both budo and bujutsu. 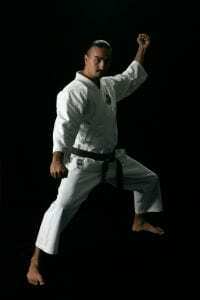 From a technical perspective it is bujutsu, with the emphasis being on absolutely effective techniques for self-defense based on appropriate response. From a philosophical and dojo relations point of view we lean on the budo perspective. Thus the name “Jukido Jujitsu” accurately reflects both “do” and “jutsu.” In Kokondo we strive to practice bujutsu and live budo.